The first burials took place at Saffron Hill Cemetery two years after it first opened. It is currently 29 acres and is in the south of the City. Saffron Hill Cemetery does have different sections of lawn and traditional graves made available for different communities including consecrated areas for the Christian faith, a small Polish burial area, cremation plots and memorial roses, a children’s section and 80 Commonwealth War Graves within the Cemetery. The Cemetery also has a separate Burial Ground for all members of the Muslim Community to lay their loved ones to rest, in line with Islamic traditions. Muslim burials have taken place at Saffron Hill since 1963 and once this area within the Cemetery at large was full, a Muslim Burial Ground was opened in 1974 catering solely for the Muslim faith located in the southern part of the Cemetery. Saffron Hill boasted the first purpose built Muslim Chapel or Janazahgah as it is known in Western Europe in 1985. The Muslim burial system in place has become a model for many other providers in the UK as much effort has gone into ensuring a smooth burial with little cost to the bereaved. English Heritage has recognised Saffron Hill Cemetery as a special place granting it LISTED STATUS as a ‘Park and Garden of Special Historic Interest’ (Grade II). The buildings are listed under the Planning (Listed Buildings and Conservation Areas) Act 1990 for its special architectural or historic interest. The Chapel, East Lodge, West Lodge, Attached Walls, Gate-piers and Gates have all been awarded Grade II listing since 2nd August 2002 as the buildings and structures date back to 1928. The main Chapel was completed in 1929 in a Beaux Arts with a large central tower and was originally intended to be the first of two but the second chapel was never built. The actual Cemetery is registered under the Historic Buildings and Ancient Monuments Act 1953 within the Register of Historic Parks and Gardens for its special historic interest on the 17th December 2001. The Listing of the Cemetery marks it as a place that should be maintained and preserved. The Cemetery was designed by the notable practice of T H Mawson & Son of Lancaster and is a good example of their 'civic design'. Unusually, the design was influenced by a study of contemporary American cemeteries and the arrangement of the buildings and the layout of the cemetery aiding traffic circulation set in a cruciform formal garden surrounded by Yew trees. At the time, new thinking recognised that individual graves were only a small detail of the whole effect of the Cemetery and therefore a planned landscape was required along with the structures within the cemetery being of a very high standard. All designed by a former President of the Institution, Edward Prentice Mawson, all remaining substantially intact. During the interwar period, the City authority was seeking to operate Saffron Hill as a purely lawn Cemetery. However, indications were that this move was so unpopular locally that the City authority had to revise its policy. The authority had in all probability aimed to establish a Cemetery where monument size was restricted, body mounds were not allowed and the use of kerb sets was prohibited. These latter two features had created substantial difficulties for managers seeking to reduce the complexity and expense of keeping the grass short. The failure of Saffron Hill Cemetery was of minor consideration in the history of the lawn Cemetery, since for the most part this landscape style was introduced through gradual, piecemeal measures. This is evident today in different sections were a choice is given for kerb sets to be used or not with the appropriate fee paid. The management of cemeteries is a particularly sensitive issue in a multi-cultural society. Different religions and cultures have developed different rites and practices for the internment of their dead which have to be considered and respected. In some cemeteries different religions or ethnic groups may be given separate sections, while other cemetery authorities may not have the space to do this, or may choose not to do so. Due to the culturally diverse community of Leicester, the City Council serves a range of burial and cremation options that have been developed to offer services that meet the needs of the bereaved. Burial rituals and practices vary amongst religions and cultures. Some bereaved groups may wish to hold very long graveside rituals and ceremonies, being very hands on which may seem odd to other visitors or funeral parties. Some groups insist on filling in the grave themselves, others may wish to erect headstones that are simple in appearance, or create monuments entirely out of scale or keeping with the surrounding landscape. All these cultural differences have to be negotiated and respected. Saffron Garden of Peace, Saffron Hill Cemetery, Stonesby Avenue, Leicester, LE2 6TY, UK. 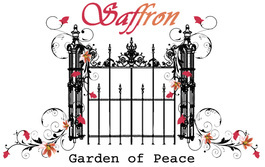 Copyright Saffron Garden of Peace 2012-2014, all rights reserved.